Patrols assigned sector in marked police vehicle. Responds to calls from citizens. Provides assistance and keeps the peace. Locates and arrests suspects of crimes. Issues traffic and criminal summons when necessary. Intervenes in disturbances, fights, and altercations. Pursues fleeing suspects on foot or in vehicle. Climbs, crawls, jumps, and/or runs to pursue suspects and protect life. Pushes/pulls, lifts and/or carries persons and/or suspects who may be injured or unconscious. You must be by the date of hire at least 21 years of age. You must not have been convicted of a felony (this includes felony convictions as a juvenile). You must not have been convicted of a misdemeanor crime of domestic violence. You must not have been convicted of a misdemeanor crime that would affect your ability to certify with the Colorado Police Officer Standards and Training (POST) Board. Visit the POST website at https://www.colorado.gov/pacific/post/decertifying-misdemeanors for a list of misdemeanors that will preclude police officer certification. You must have by the date of hire an Associate Degree or 60 college semester hours. A national or regional accrediting organization recognized by the United States Department of Education must accredit the school or institution granting the degree or credits. Candidates that do not meet educational minimums upon application must submit a statement from their school confirming that they are currently enrolled in a course of study that will allow the candidate to meet the minimum qualifications upon date of hire. If you have not completed 60 college semester hours please click http://bit.ly/alteducationprogram for information on our alternative education option. You must not have been released or discharged from the Armed Forces of the United States under dishonorable conditions. 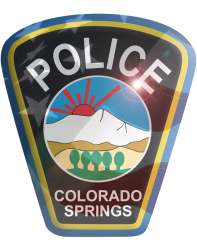 You must be in good physical condition and meet medical standards as established by the City of Colorado Springs Police Department.